The word tattoo comes from the Tahitian word “tatu” which means “to mark something.” Love them or hate them, tattoos have evolved over the years to become a way for artists to express their personal style. 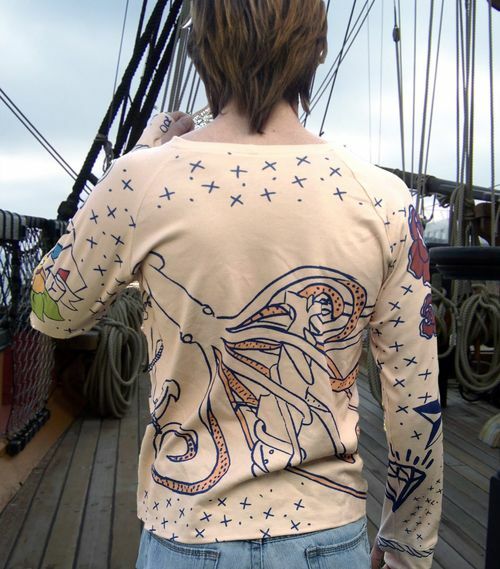 And just as tattoos are unique to those who wear them, the Spoonflower community of artists put their own personal spin on this timeless art form for this week’s design challenge. 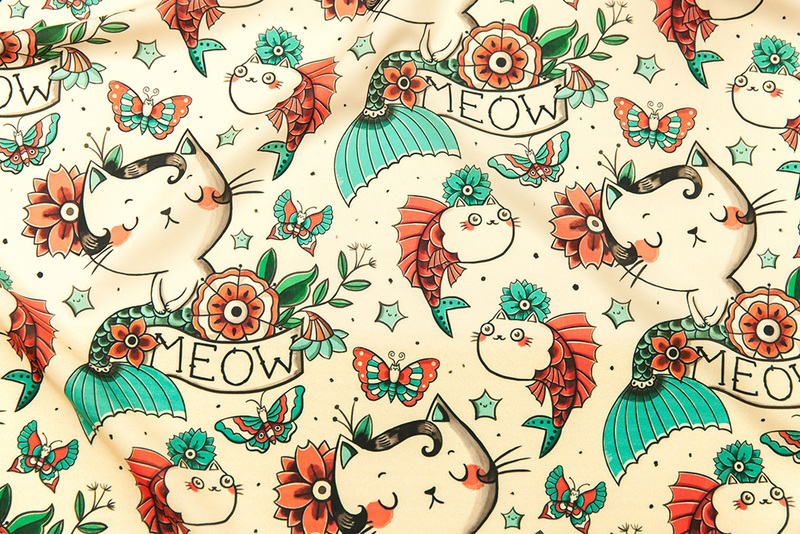 We’re buzzing with excitement for grand prize winner monika_suska, who will be receiving a $200 Spoonflower credit for her design, Born to Meow. We also want to congratulate second place (stitchyrichie) and third place (morecandystudio) winners who will be receiving $100 and $50 in Spoonflower credit, respectively. See which designers made their mark in the top ten. This is the fourteenth in a series of fifteen posts describing the projects that are part of our 2012 Spoonflower Staff Challenge. Voting begins tomorrow! It’s hard to live up to what happened last year. Seeing as how the strategy was successful then, Turner and I (Danielle) decided stick to what we know we are good at and what we love. For Turner, it was his wicked modeling and idea-generation, and for me, hand-drawn images. We opted to keep our project simple and shareable! 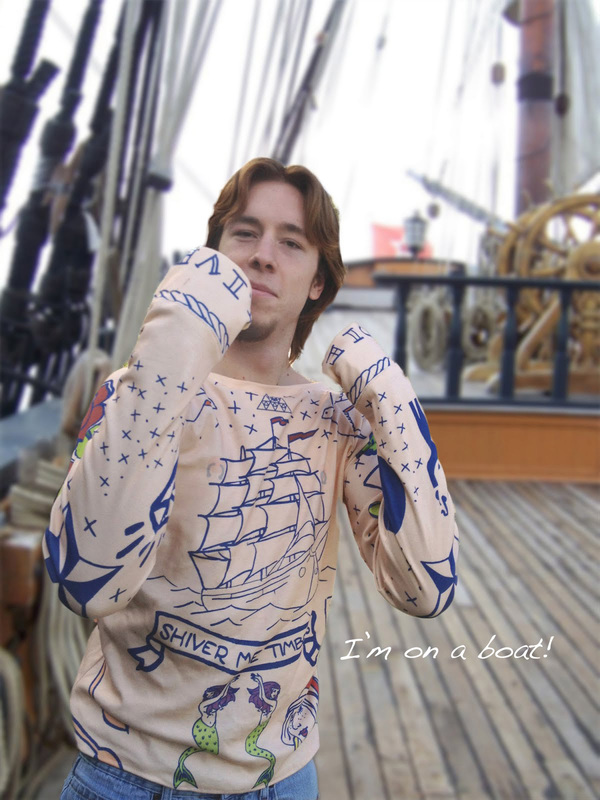 Turner is modeling our raglan-style tee with thumb holes printed on Spoonflower’s organic cotton interlock knit. The shirt is an approximate men’s size medium, and can fit up to a 38-inch chest. We have plans in the near future to offer more sizes down to the wee-est of folk. 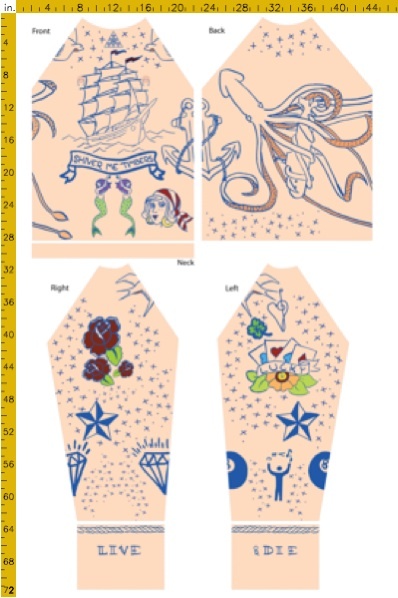 The tattoo pattern wraps the body in a seamless set of great tattoos. While Turner and I are both tattoo-less, we have always secretly coveted some awesome skin art. 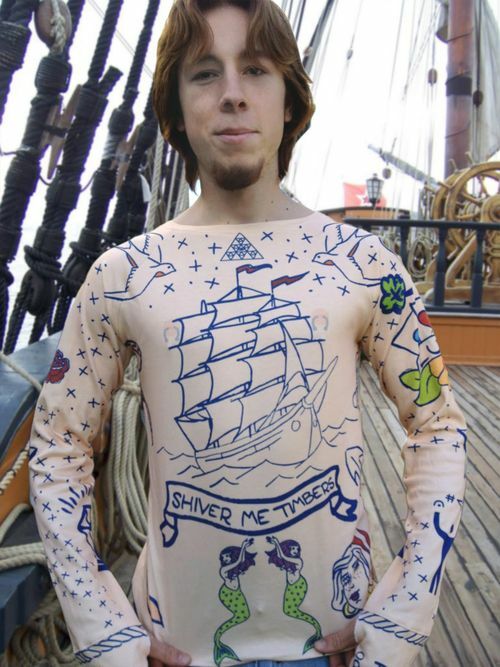 I have a serious love for sailor style tattoos, and Turner had some great ideas for what he’d like to see and where they should go. The squid across the back? All Turner’s idea. All the artwork, just like a real tattoo, is drawn by hand with love and care. Just in case you were wondering, you can spot other tattoo ideas from Turner as well. Turner is a music major at one of the local universities and his music themed tattoos are integrated throughout. We’ll have sewing instructions added to our tee soon, followed by some additional sizes. Thanks to our friends in the Spoonflower Facebook group, we've got a nice long list of suggestions for upcoming Fabric Of the Week contest themes! Instructions for entering our contests — as well as the rules — appear on the upcoming contests page. Tattoos. 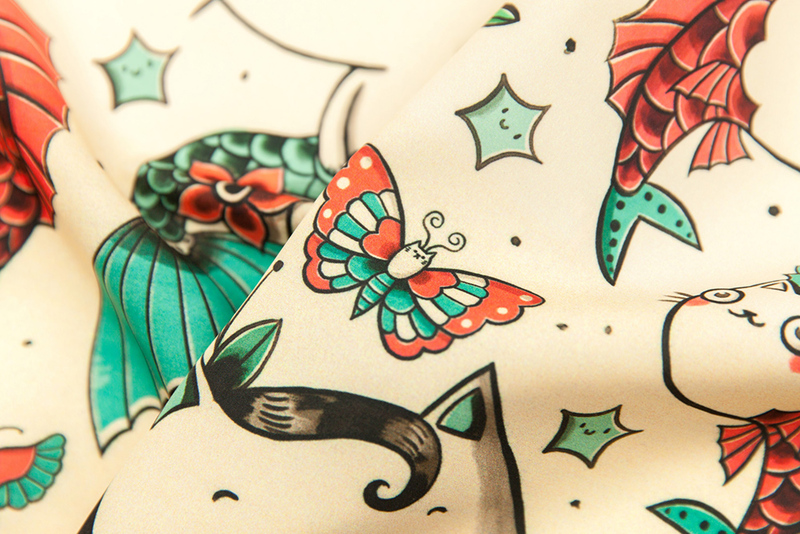 Submit fabric designs inspired by tattoos. Please use original art and avoid clip-art or stock images. Entries close on Tuesday, March 9, 2010, at noon EST. Art Nouveau. Submit fabric designs inspired by the Art Noveau aesthetic and using the restricted palette described on our upcoming contests page (link below). Entries close on Tuesday, March 16, 2010, at noon EST.